Radical Sportscars is a British manufacturer and constructor of racing cars. 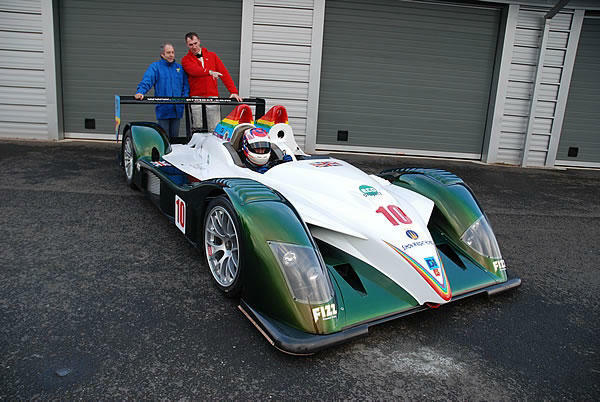 The company was founded in January 1997 by amateur drivers and engineers Mick Hyde and Phil Abbott, who built open-cockpit sportscars which could be registered for road use and run on a track without modification. 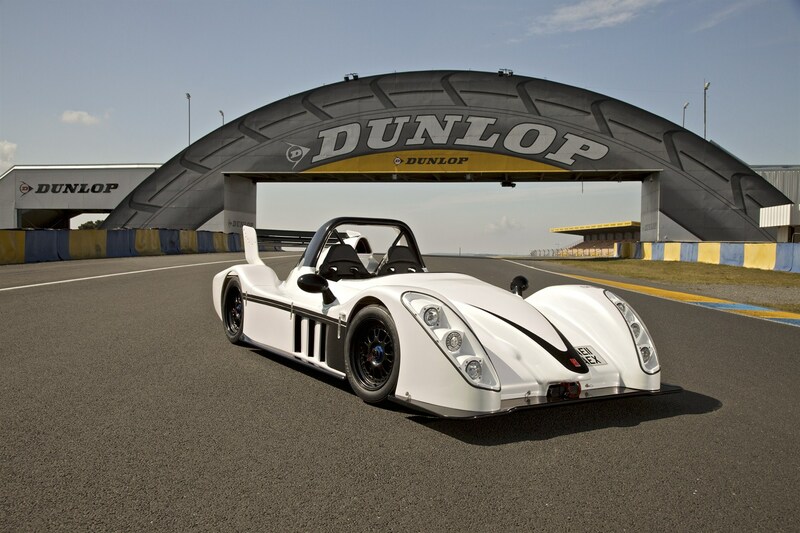 Although most of Radical’s sportscars are road legal, they also build some purpose-built racing cars, such as the SR9 Le Mans prototype. Rollcentre Racing’s Radical SR9 at the 2006 24 Hours of Le Mans. 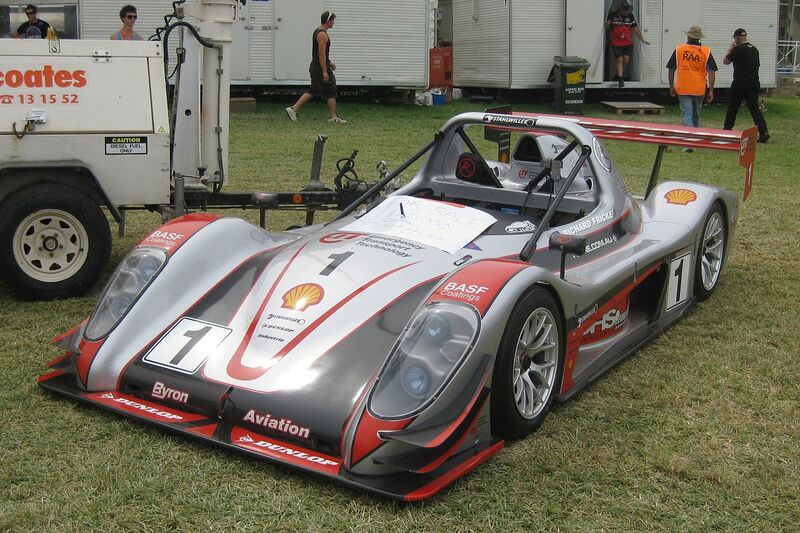 The company’s first car, the Radical 1100 Clubsport, was based on a Kawasaki motorcycle engine placed inside a small open-cockpit chassis. The cars were intended to run in the 750 Motor Club‘s races under the Sports 2000 category, with co-founder Hyde driving. 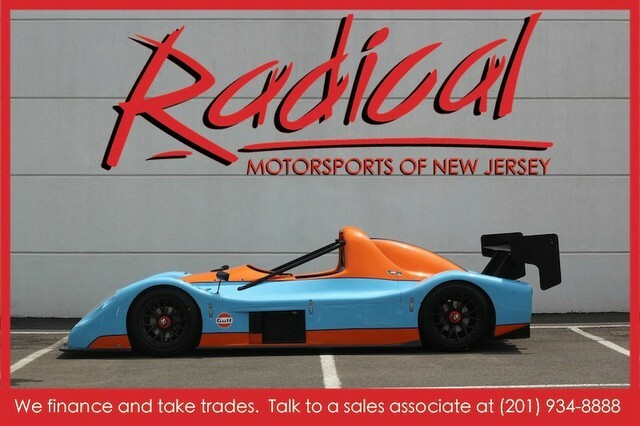 In 1999, Radical had built enough 1100 Clubsports that they decided to create a one-make series based around the car. Backed by the British Racing and Sports Car Club, the series featured identical cars that were open to anyone who owned an 1100 Clubsport. 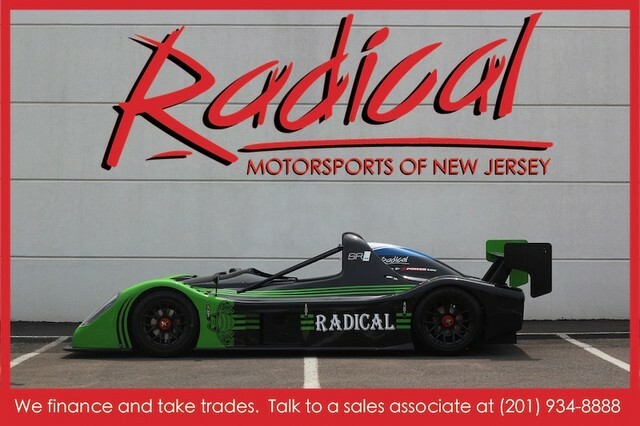 The same year, Radical debuted their second model, the Prosport. 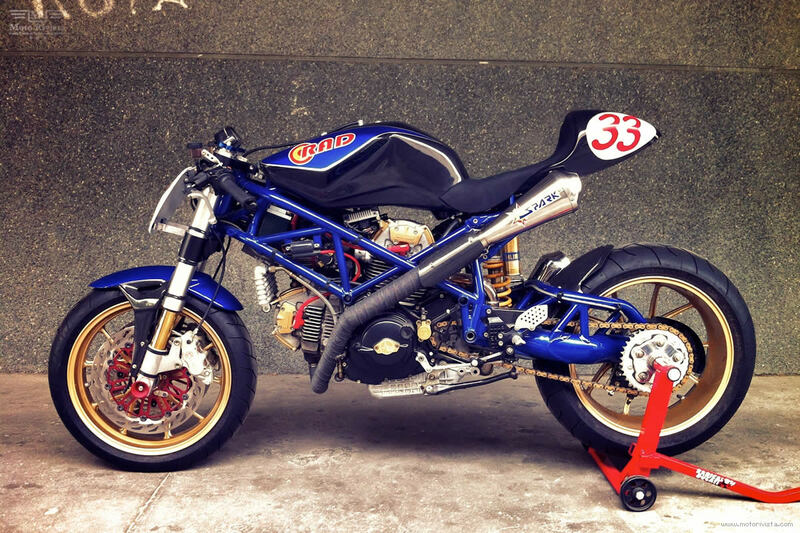 Available with Kawasaki or Suzuki engine up to 1500 cc in displacement, the Prosports were even more powerful and faster than the Clubsports, and included F3-size slick tyres and an adjustable rear wing. The cars were also brought to the United States for the first time, for use in the SCCA D-Sport class in 2000. Radical’s next creation was the two-seater SR3, a car which could compete in international racing, such as the FIA‘s C3 class. The car uses a Suzuki-based engine tuned by Powertec (now RPE) which offered 1300 cc or 1500 cc versions and a maximum of 260 hp (190 kW) in the latter. 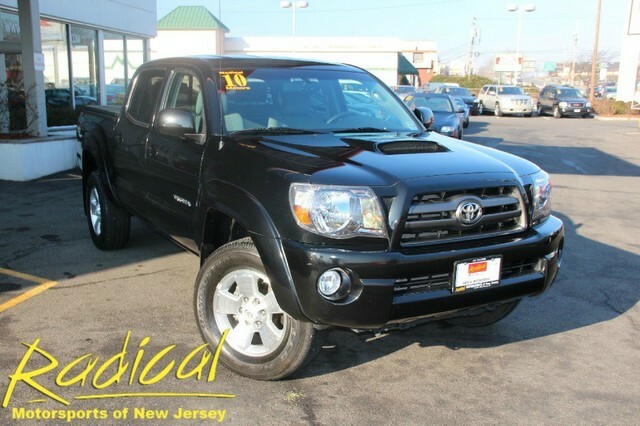 A six-speed sequential gearbox was developed specifically for the car to improve performance. 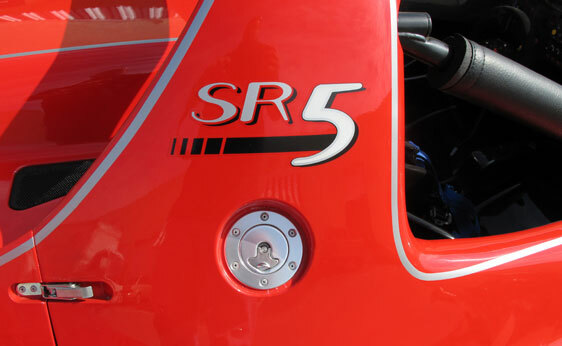 The SR3 could also be made road legal in the United Kingdom with the addition of indicators, a hand brake, a catalytic converter, and road legal tyres. In 2006, Radical would make its largest leap into international motorsport with the development of the SR9, a complete Le Mans prototype in the LMP2 class. Official partner Rollcentre Racing would debut the car with success in the Le Mans Series and 24 Hours of Le Mans, and SR9s in the hands of independent teams would contest the 24 Hours of Le Mans a further four times. Radical currently sells six different models, all of which can be converted to street use in certain countries. Various options, most notably in the powerplants, are available on all of the cars. 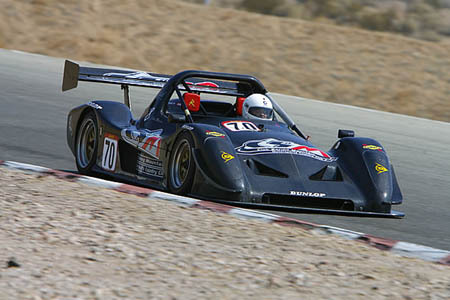 An SR3 Supersport model at the Spring Mountain Motorsports Ranch Radical Racing School. 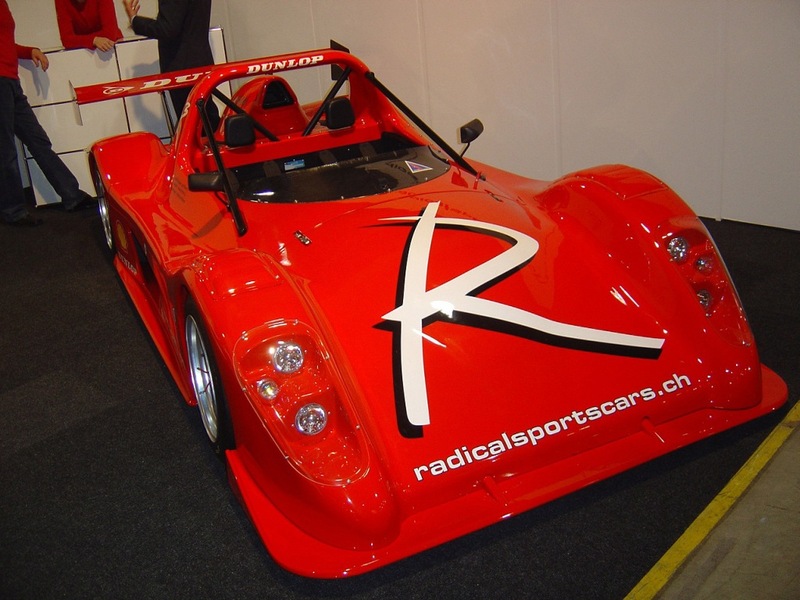 The most popular Radical model, over 800 SR3s have been built in Tracksport, Supersport and ‘RS’ models. 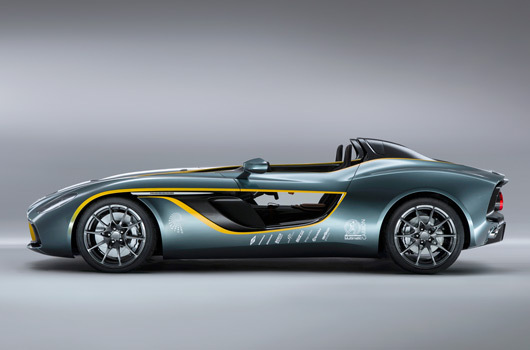 The car is built on a spaceframe chassis, and uses a variety of RPE-tuned motorcycle engines for power. Turbocharging is also available on the motors for even more power. Base versions produce 252 hp (188 kW) and get the SR3 RS to 60 mph (97 km/h) in just 3.1 seconds and on to 155 mph (249 km/h). 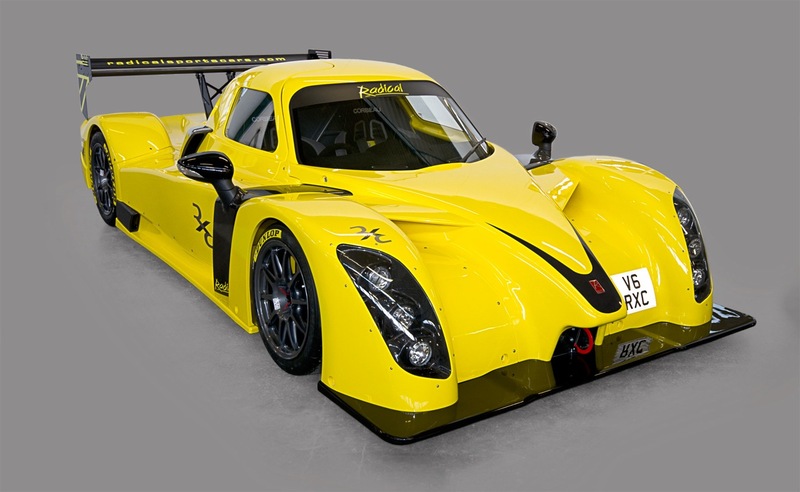 The Radical SR1 is aimed at the trackday driver and club racer, creating a new entry-level rung on the sports-prototype racing ladder. Combining exceptional performance and handling with LMP styling and low cost of ownership, the £29,850 SR1 reinforces Radical’s position as the world’s foremost sports-racing car manufacturer. 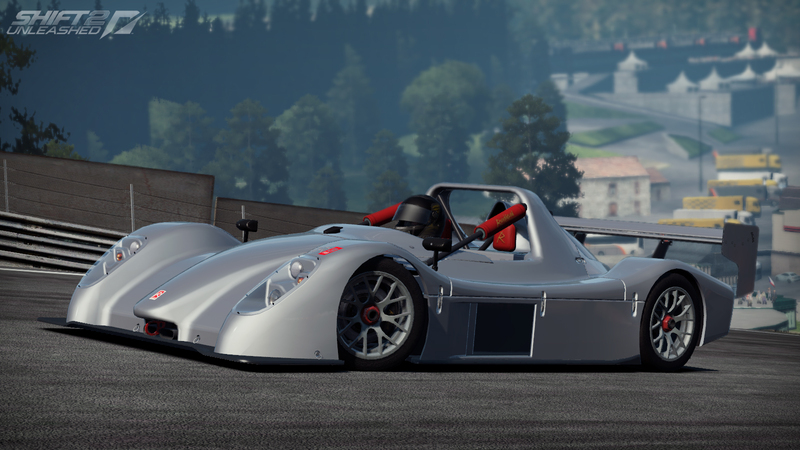 The SR3 SL is a full EC Type Approved, road legal track-day car that uses the Ford Ecoboost 2 litre engine, tuned to 300 hp for road use in the UK and Europe. The SL is Radical’s most advanced model to date with a six-speed paddleshift transmission and bespoke cockpit included tailor seats, electric mirrors, a heater and courtesy lighting. Built for international competitions, including hillclimbs and endurance events, the SR5 features a Honda production four-cylinder engine. A variety of gearboxes are also available, with either a manual or pneumatic semi-automatic paddle-shift. The spaceframe chassis does not integrate the engine as a stressed member in an attempt to increase its endurance capabilities. 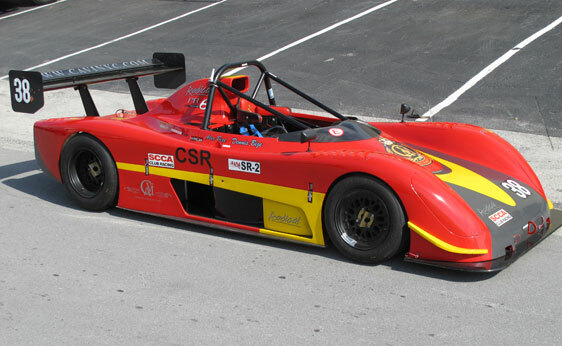 The replacement for the original Prosport, the PR6 is a purpose-built race car designed to meet SCCA and MSA regulations. The PR6 features a single-seater cockpit, with central driving position and many aerodynamic elements from the SR4 added. 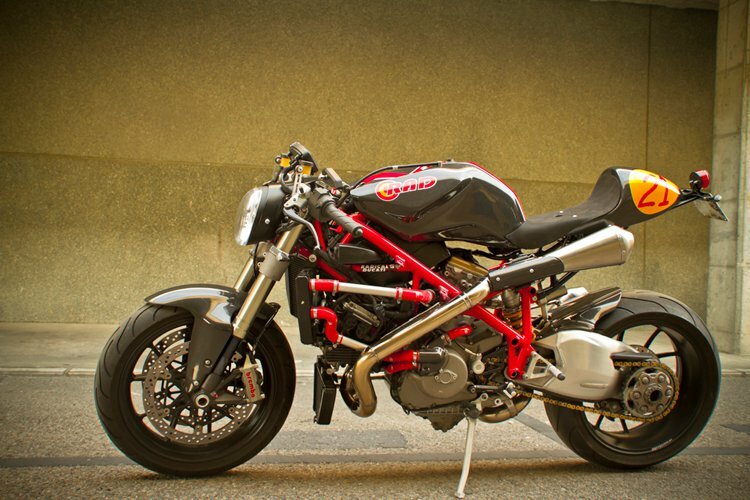 The PR6 is powered by a variety of motorcycle engines based on class regulations. Based on the SR3, the SR8 is a more extreme version intended for track use but can be registered for the road. The SR8 also features the largest engine Radical has ever put in their cars, with the 2600 cc RPE RPA V8 constructed by combining elements of Suzuki inline-4s, and producing 363 hp (271 kW). A further variant, known as the SR8LM, increases the engine to 2800 cc and brings power output to 455 hp (339 kW). In August 2009 Michael Vergers, driving an SR8LM, set a new lap record (6 minutes, 48 seconds) for a road legal production car at the Nürburgring Nordschleife circuit. 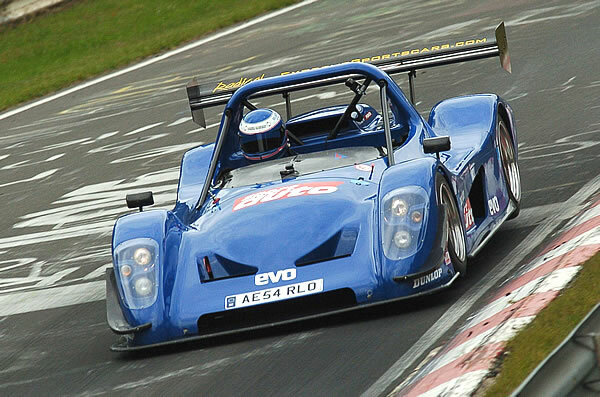 The previous record (6 minutes, 55 seconds) was also set by Vergers, in 2005 at the wheel of a Radical SR8. The SR4 CS succeeded the hugely successful Clubsport/Prosport range, and remains faithful to its grassroots by remaining fast and easy to drive whilst inexpensive to own. 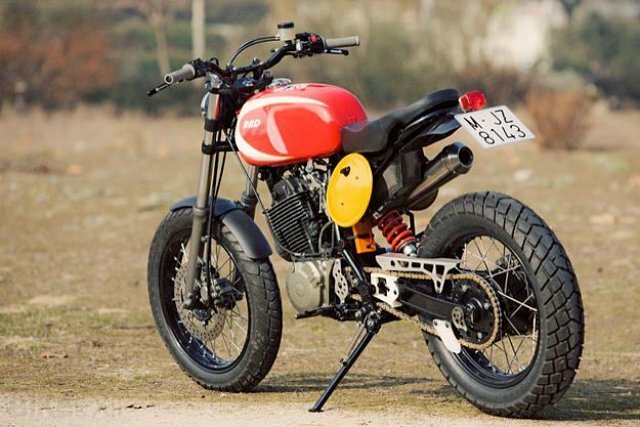 It has a unique style and can be 1300cc or 1500cc models. In August 2009 Michael Vergers, driving an 2.8-litre SR8LM, set a new lap record (6 minutes, 48 seconds) for a road legal production car at the Nürburgring Nordschleife circuit. 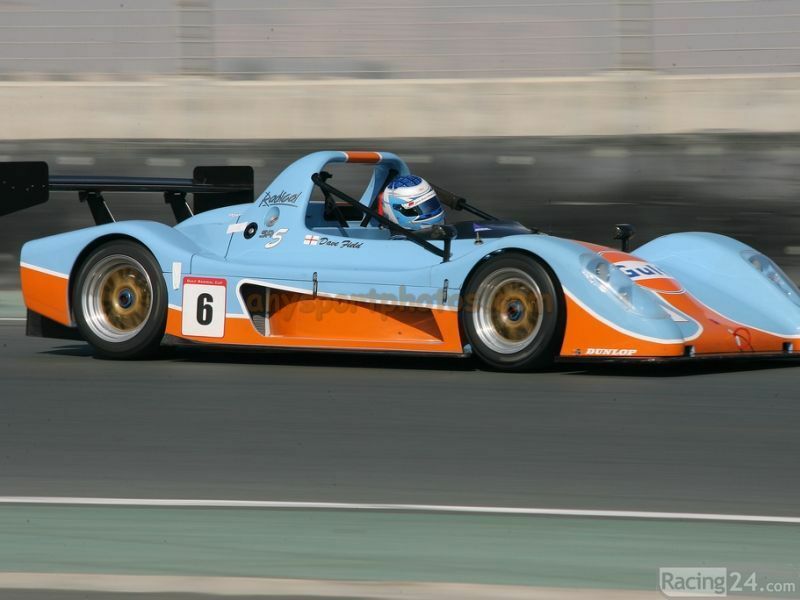 The previous record (6 minutes, 55 seconds) was also set by Vergers, in 2005 at the wheel of a first-generation Radical SR8. One SR8 was converted into an electric car by a team of students Racing Green Endurance from Imperial College London to drive the full length of the Pan-American highway in May 2010. The project aims to challenge commonly held perceptions surrounding electric vehicles performance and range. The TMG EV P001 is a road-legal electric sports car by Toyota Motorsport GmbH, based on a modified Radical SR8 chassis. 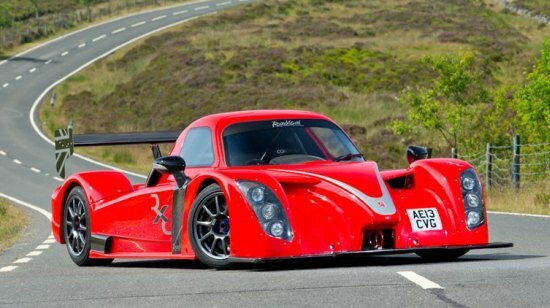 The RXC is Radical’s first fully enclosed car. The standard engine is a 3.7-litre V6 engine from Ford tuned to 380 hp (280 kW), good for 0-100 km/h (62 mph) in 2.8 seconds and a top speed of 175 mph (282 km/h). A seven-speed sequential transmission with paddle shifters is fitted as standard, and the car features aerodynamics and styling cues taken from the SR9 LMP2 project. Production of the RXC began in September 2013 with the car offered as both a road car and in a track/race variant. 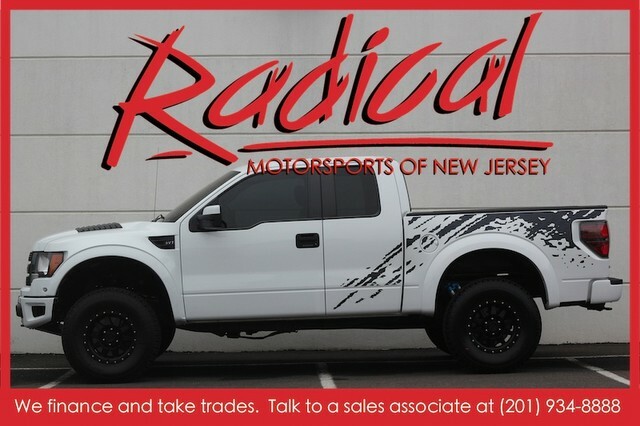 Although Radicals started out competing in existing events, it was Radical’s creation of their own series that have been the choice of competition for most Radical owners. Radical currently backs four international series, while a further six series have been created on the national level. The Radical Masters Euroseries has featured an FIA accredited format since 2012 with two 50-minute races per weekend. The winner of this championship receives an LMP2 test with a leading team as well as a chance to race in the Rolex 24 in a DP, as part of the Sunoco Daytona Challenge. The six-round FIA-recognised championship includes a full test day and season opener race meeting, before joining the GT Sport package. Each meeting features two 40-minute practice sessions, two 15-minute qualifying sessions and a pair of 50-minute races. The series is open to SR3 RS and SR8 RX models. 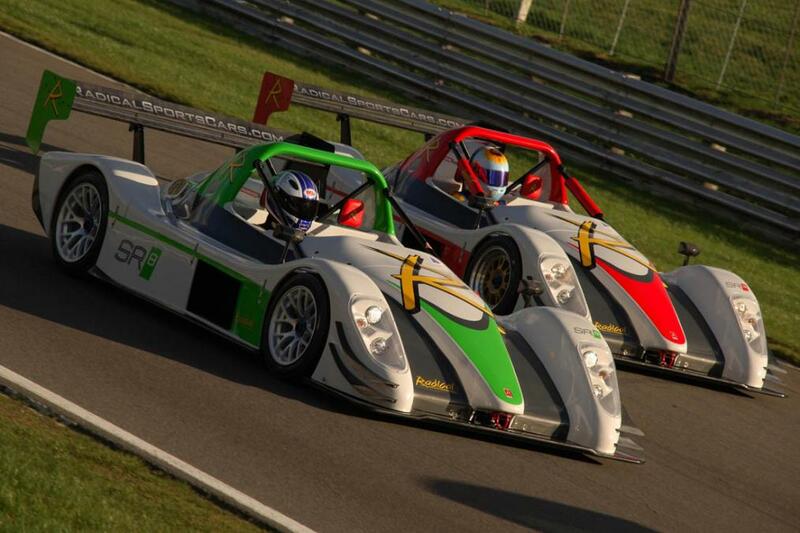 The Radical SR3 Challenge supersedes the Radical UK Cup and features two 40-minute races per weekend for SR3 RS racers. From 2012 lap times it is expected that this will be the UK’s fastest one-make series in 2013. Several established national teams are believed to be looking to join the series. The seven-round championship also runs within the MSVR package, with each meeting featuring two 15-minute qualifying sessions and a pair of 40-minute endurance races, with the opportunity for one or two drivers per car. Teams are limited to one set of tyres per weekend, limiting costs and levelling competition. The Radical Clubman’s Cup offers drivers the chance to race Radical’s four-cylinder cars in a more club-level environment. This series features a one-day format with two 20-minute sprint races. 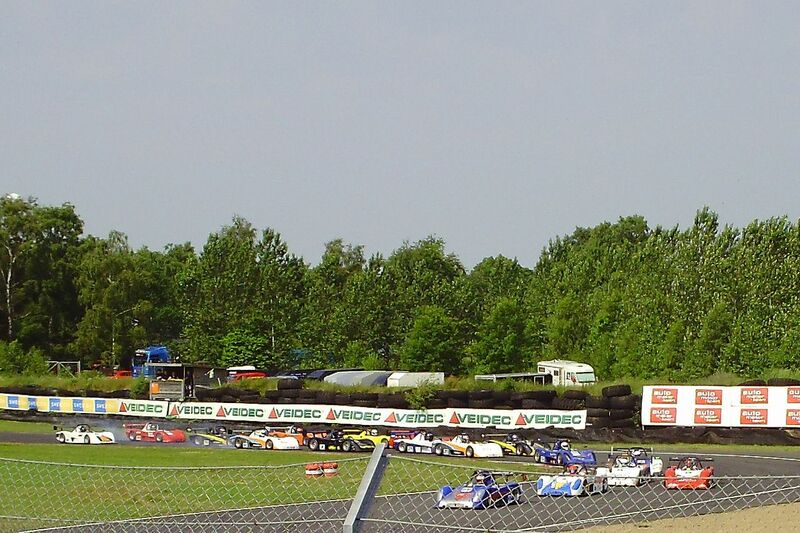 The winner of the series receives a drive in the Radical SR3 Challenge. The eight-round championship is open to all SR3s, PR6 racers, as well as the new-for-2013 SR1 class. The Clubman’s championship runs within the highly promoted MSVR package and all rounds are supported by top-level factory spares and technical support. Each meeting features a 20-minute qualifying session, determining the grid for the two races. Open to drivers who have either never held a race licence before, or are still eligible to wear a novice cross on the rear of the car (meaning they have competed in less than six races), the new-for-2013 SR1 Cup will lead the drivers through the process of getting on the grid, with a detailed programme of driver training and technical tuition. Each race event takes place at the same meeting as the Radical Clubman’s Cup, ensuring that there will be support, expert advice and a spares truck at each event, and the qualifying session and two races will take place on the same day to keep travel expenses to a minimum. The races will be held at Brands Hatch, Snetterton, Oulton Park and Cadwell Park, some of the finest in the country, all run by MSVR. Around the world there are numerous Radical single-marque racing championships, running to regulations that broadly mirror those of Radical UK and European racing series. In the US, there are two Radical race series, the Radical Cup West and the Radical Cup East. In the second quarter of 2005, the company announced its plans to race in the LMP2 class of the Le Mans Series with their new SR9. 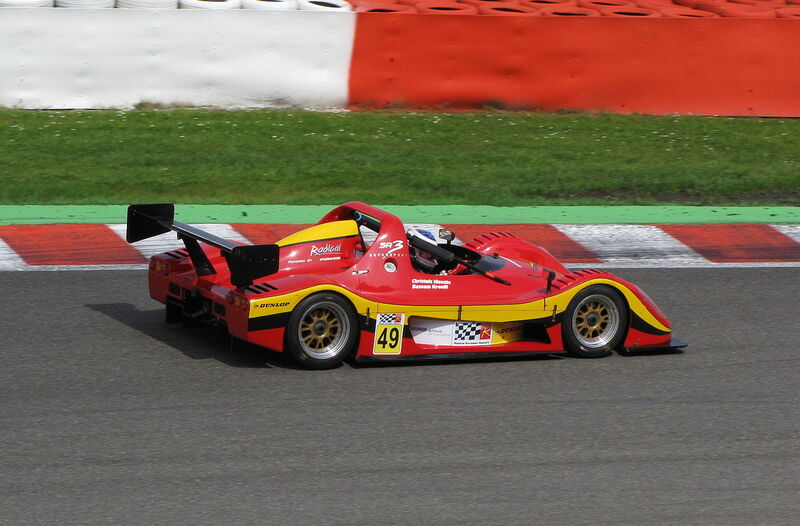 The British Rollcentre Racing team would run the first chassis using Judd power before being joined later in the season by a factory team, known as Team Bruichladdich Radical, who used the AER powerplant. Both teams would score their only points of the season at Nürburgring, with Rollcentre taking third in LMP2 and Radical finishing in fifth. Rollcentre would also run the company’s first entry in the 24 Hours of Le Mans. Although the car finished in a distant 20th place, the car was able to prove its reliability by being able to finish the race only months after being completed. The factory Radical squad also flew to the United States for the final round of the American Le Mans Series, where they joined the third SR9 completed, now owned by Van der Steur Racing. 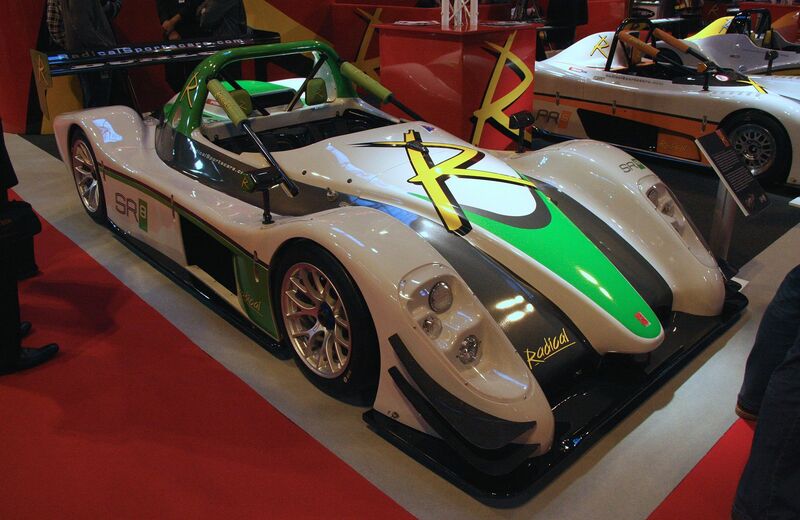 For 2007, Rollcentre sold their SR9 as they moved onto a new LMP1 Pescarolo. Embassy Racing purchased the car and continued running it in the Le Mans Series alongside the factory Radical, while Van der Steur would run a partial schedule in the American Le Mans Series. For 2008, Italian team World Racing Cars purchased the Judd-powered SR9 from Embassy with Swiss team Race Performance contesting the 2010 event. 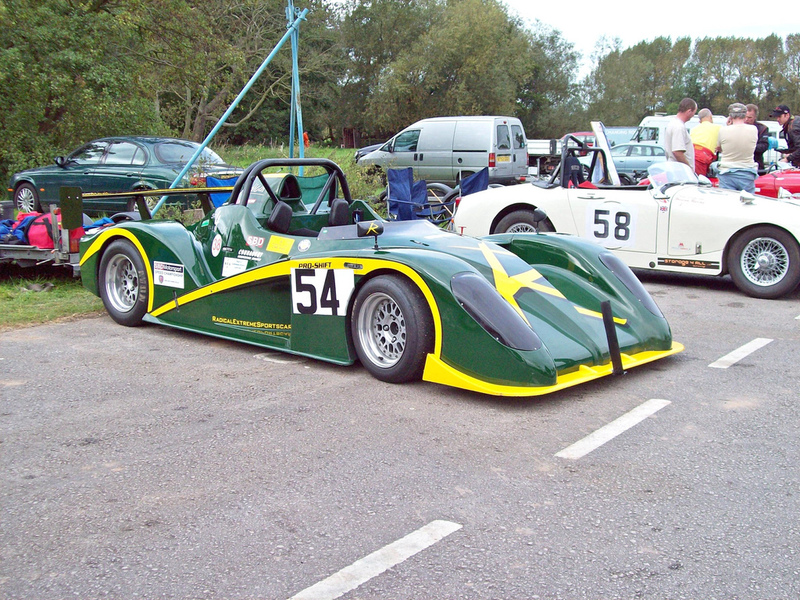 Radical Sportscars made its debut as a race team in the 2013 British Formula Ford season. 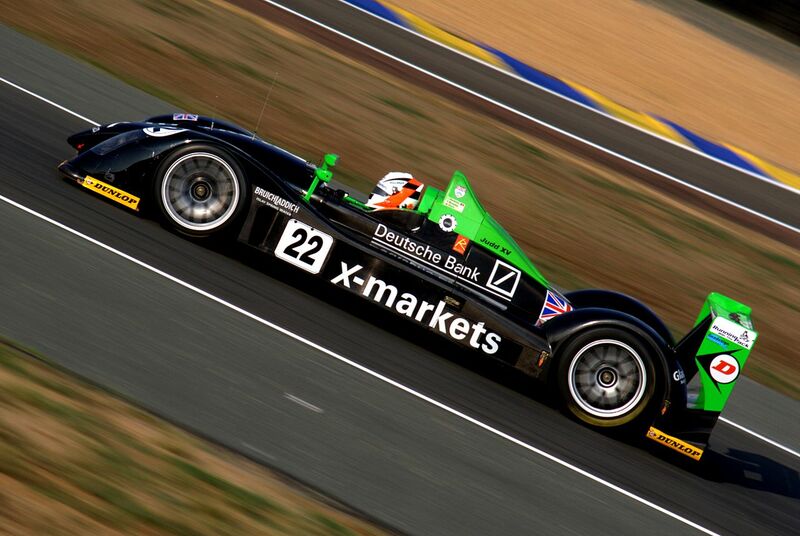 Radical signed longtime Radical sportscar racer James Abbott to represent the brand in Formula Ford. 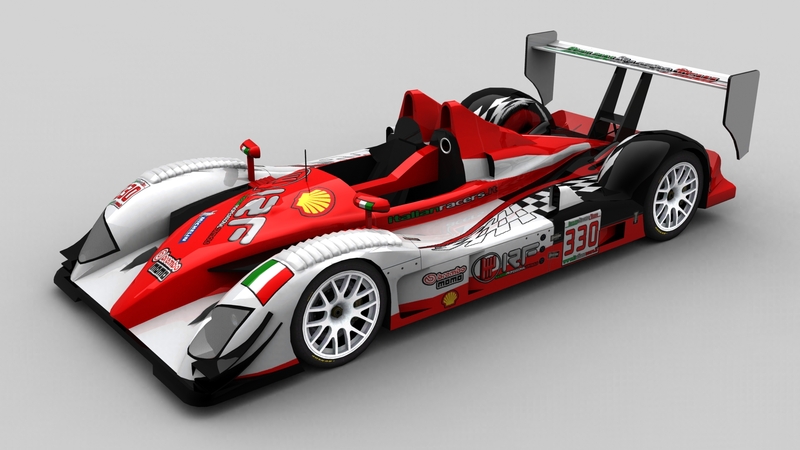 In the new for 2013 Ford EcoBoost powered Radical chose for the new Sinter LA12 chassis produced by Fluid Motorsports. Former Formula Ford racer Robbie Kerr joined the team as a driver coach for James Abbott. 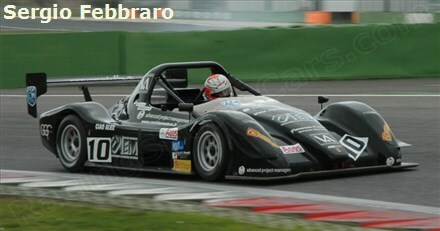 After three rounds, with little success, Radical decided to replace the Sinter with a Mygale M13-SJ. While JTR‘s Dan Cammish dominated the season, Radical had a reasonable season. After switching to Mygale the results improved, finishing with two third place finishes in the last three races at Brands Hatch.